We have had many new friends discover Vintage Restyled. I thought I would share the introduction we crafted for our Presentation at The Country Living Fair. Thanks for finding our little shoppe, we hope you'll visit again soon! a small shoppe located in New Albany, Ohio, just outside of Columbus. I am crazy about my two teenage girls, my very helpful business partner - Hubby, friends, family and my community. Living in an old farmhouse with a 200 year old barn, I embrace the farm style way of life. From the fresh eggs my chickens produce, to my decorating style I have grown to love vintage wares and especially vintage furniture. My love evolved into a business. 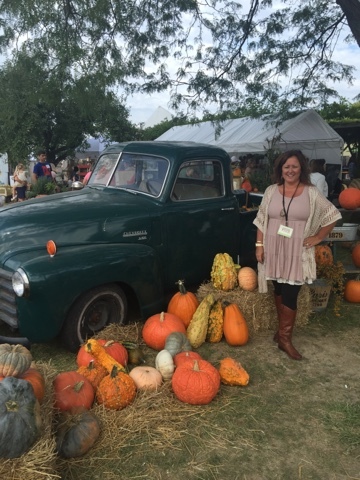 First came the blog in 2010, then space in an antique mall, traveling to set up at shows and now comfortably settled into my community where I live, raise a family, operate my shoppe and support others that share my entrepreneurial spirit. 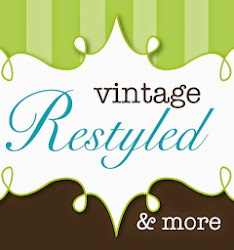 When visiting Vintage Restyled, you will immediately identify my passion. 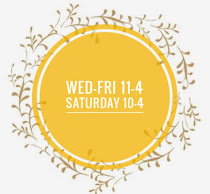 The shoppe offers local artists and their talents along with Pinterest Parties, Paint Workshops and Restyling Your Furniture classes. I can honestly say, I have never worked harder in my life and I love it! 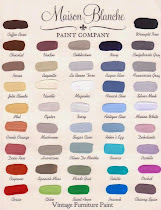 Maison Blanche Paint & Restyling Classes. We bring ideas to life through our Pinterest Parties.